Three words you don't usually see together: fashionable, comfortable, packable. Well guess what? The Merrell Women's Ember Ballet Sneakers are just that! Although, they do scuff a bit easily depending on your use case. Merrell is an American footwear company most people associate with hiking boots or trail runners. They’re known for high performance, rugged shoes and boots that are designed for adventure. One thing you may not know is that they also design fashionable footwear that still encourages you to get out and explore, but allows you to look cute while doing it! The Merrell Women’s Ember Ballet flats are one of these more fashionable choices. These shoes are often recommended online as your best bet for a packable, good looking, women’s flat for travel. The ballet flat design is simple and elegant, which makes these shoes really easy to pair with just about anything. Wear it with a little black dress one day, a pair of jeans and a t-shirt the next, or just throw them on as slippers as you walk around your villa in a bathrobe! In all scenarios, these shoes did not look out of place at all. (Yes, we’ve tested all those scenarios. Many times.) With a rounded toe, these shoes keep a timeless look so you won’t look dated, even if you continue to wear them for years to come. There is some added stitching around the outside of the shoe, as well as some stitching on the sides for some extra aesthetic appeal. All of the stitching is monochromatic—so it doesn’t scream at you when you look at your shoes—and not having white stitching means you don’t have to worry so much about the thread getting dirty. 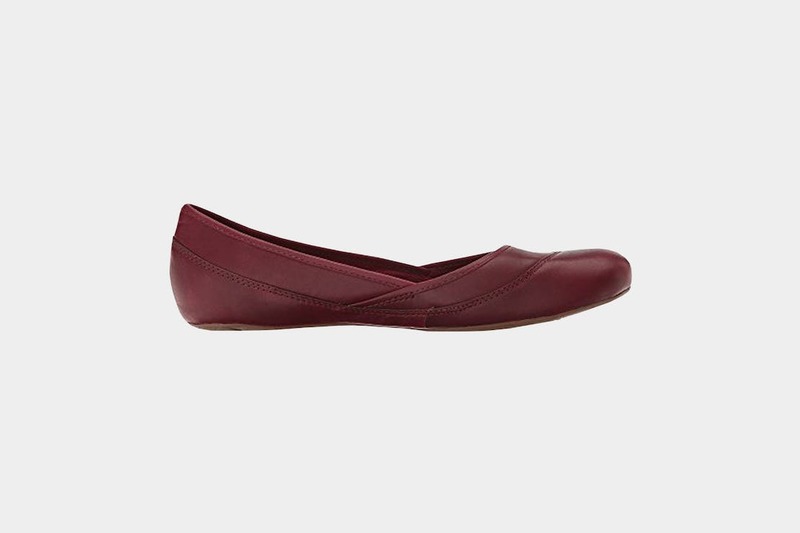 The Ember Ballet Flats are made with leather uppers, a fabric liner and an insole that has been wrapped in microfiber. 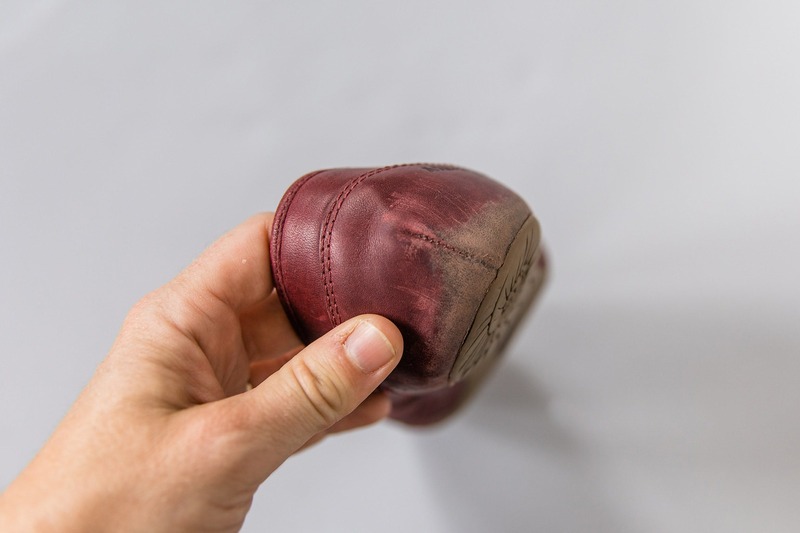 The leather itself is great, but just like most leather, it does require a bit of breaking in to ensure you have the most comfortable pair of shoes. The great thing about leather shoes is that once they mold to your feet, your shoes feel like they’re custom-made for you. 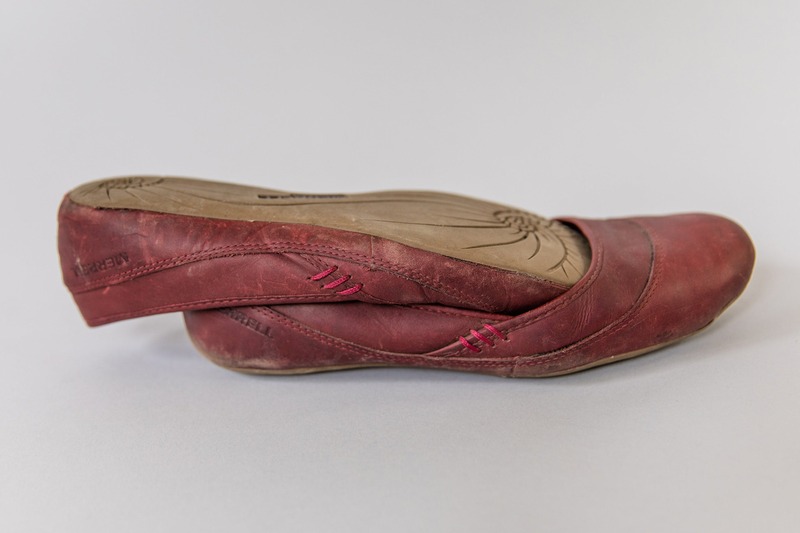 These shoes end up feeling like they are a part of your feet. Unfortunately, leather does also scuff, so these shoes will look like they have lived an adventurous life if you’re not gentle on them. Make sure you treat the leather with care to ensure it has the longest life possible. The fabric liner claims to be there for “moisture-wicking comfort.” While this sounds ideal, it doesn’t really stand up in practice. These shoes are not breathable and the liner does not seem to moisture-wick in the slightest. 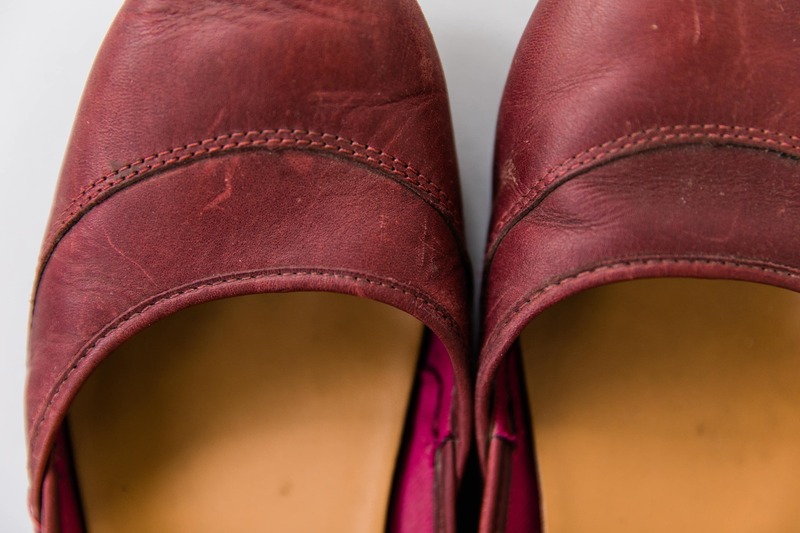 Get ready for some sweaty and sticky feet in your brand new pair of flats! We definitely think these would benefit from a vent or two… You can also just make sure to air your feet out on the regular. Please be kind to those around you, though. The microfiber-wrapped insole is surprisingly comfortable. 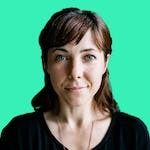 It does not offer much in the way of an arch, but it’s soft on the skin and allows you to wear the Ember Ballet Flats barefoot all day long without discomfort (unless you count your sweaty feet as uncomfortable). They are also easily swapped out for an insole with a higher arch if needed. The sole of the shoe is made with “M Select GRIP Rubber,” which is something unique to Merrell. It basically means super sticky, tear resistant, durable rubber. They claim that this will grip in any weather, on any terrain—and in our testing, we’ve really put these through the ringer. They perform well on most terrains, including cobblestone walkways, hiking trails, limestone cliffs, and beaches, but they did not stand up to a stone step that was slick from rain. In fact, they fell flat (or, our reviewer did). Be sure to be extra cautious when on slick surfaces—these may be sticky but they aren’t miracle workers. The last place these shoes really shine is in their packability. As most one-bag travelers know, space is at a premium when you’re on the go, and if you plan to be on your feet a lot, having more than one pair of shoes isn’t just important for fashion but also comfort. These shoes slip into themselves easily and don’t take up too much space, which make them a great option for every traveler, and especially one bag travelers. In fact, your water bottle will likely be taking up more room than your Ember Ballet Flats! A wee bit on the tight side. Causing a blister or two. Stretched a bit and broken in and comfortable for long days of wear. Grippy soles, sweaty feet. Comfortable for extended use, still sweaty. Showing some wear and tear on the toes. Still comfortable. Wear and tear on toes is more pronounced, heels are significantly scuffed. Starting to look a little haggard at the heels and the sole looks like it’s peeling away a bit. Surprisingly not smelly even though they don’t breathe and they’re worn regularly and on extra hot days. Pack small to fit into your one-bag travel lifestyle. Comfortable for extended wear and grippy soles for safety. Fashionable, yet timeless—these can be dressed up or down. Do not breathe, which results in pretty sweaty feet. Grippy rubber, but will not save you from slick surfaces. 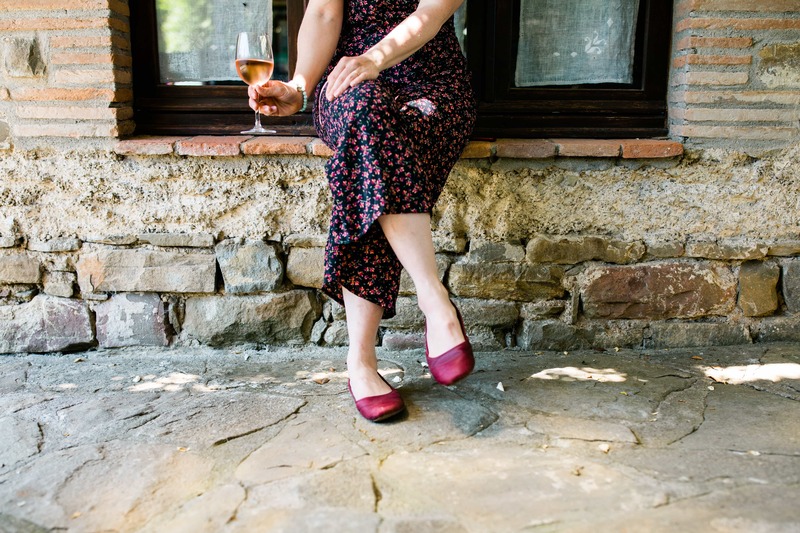 These shoes are an excellent choice for a packable flat for women. Like most Merrell products, they’re comfortable and supportive but still manage to look respectable when paired with a dress. Try to be a little gentle on these so they don’t scuff on you, be extra careful on slick surfaces and get ready to embrace some warm & sweaty feet.